AXION is a brand of ZEPELIN, s.r.o, the specialist in techtextile applications. A company was founded in 1996, specializing to standard inflatable objects, with customers in many European countries. In 2010 Square tent, the first of AXION brand products was developped, followed later by many others. 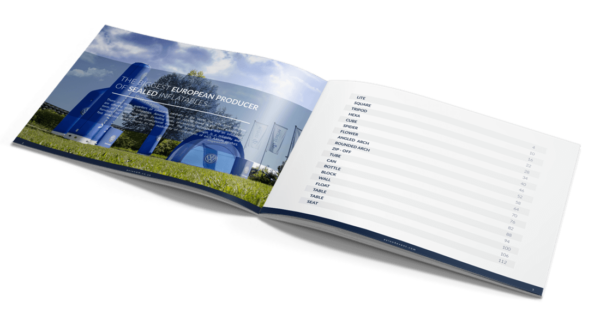 Now we can say AXION is the leading brand in sealed inflatables industry, distributed in 40 countries worldwide. In ZEPELIN we understand technical textiles and their applications, as well as, technical principles of structures, specially the pneumatic ones. We enjoy development and improvement of our products, trying to combine maximum user comfort with a simplicity of the service. We are skilled in a production, trying to provide perfect customer service. Now it is up to you to judge if we are doing it good. Enjoy AXION products if you like it, or give us your comment if you have an idea how to even improve it. 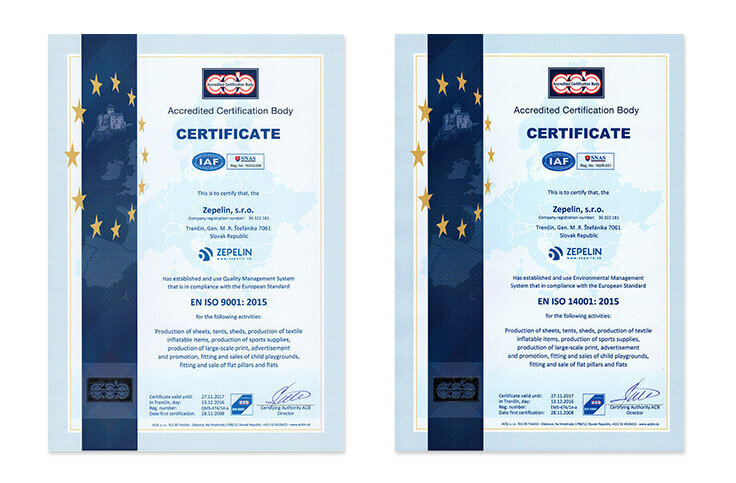 Our company is holder of ISO 9001:2015 quality management certification and 14001:2015 environmental certification. Besides of that, we are trying to protect company know-how by several patents and industrial design certificates, constantly working on new technical solutions. We trust new technologies and materials. Constantly investing into new machines, increasing the quality of the production process.